This is a hot deal. 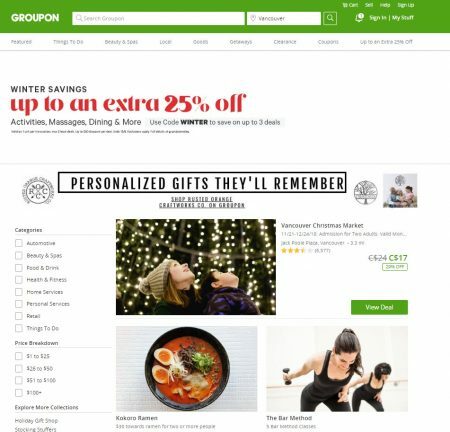 Groupon.com is offering up to an extra 25% off promo code! This promo code is valid for 2-days only and will expire on Thursday, December 6, 2018 at 11:59pm PDT. This is going to be a very popular offer so don’t miss out!